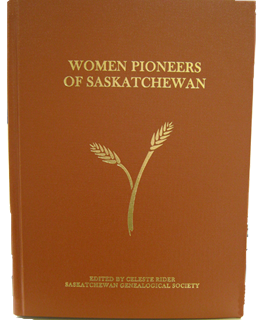 Women Pioneers of Saskatchewan, Book 1, contains over 500 pages of stories and facts about Women Pioneers in Saskatchewan. This book was published in 2009 in commemorative with our 40th Anniversary. Information on book. 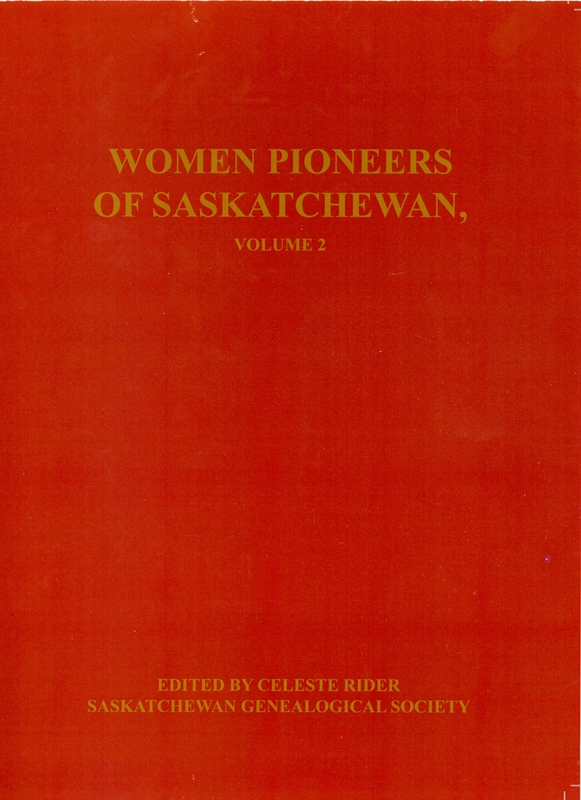 Women Pioneers of Saskatchewan, Book 2, contains approximately 300 pages of stories and facts about more than 180 Women Pioneers in Saskatchewan. Some of these women were born in Saskatchewan. The majority of the stories are of women who immigrated to Saskatchewan between 1903 and 1917. Information on book. Tracing Your Saskatchewan Ancestors, 4th Edition, contains detailed explanations about each record group showing when and why it was created, where you will find the records today and how and why you would want to access them. In addition to these Saskatchewan records, there are chapters or sections devoted to federal records such as immigration, military, naturalization and National Registration. You will learn what the records are, the time frame they cover, where they are found and what areas of research they cover. Particular emphasis is placed on learning why the records are important and how you use them to find more information. While emphasis is placed on how to use these records in Saskatchewan the book also explains how to access them from other parts of the world. Tracing Your Aboriginal Ancestors in the Prairie Provinces, 2nd Edition, contains detailed explanations about each record group showing when and why it was created, where you will find the records today and how and why you would want to access them. In addition to the records found in centres throughout Alberta, Manitoba and Saskatchewan there are chapters or sections devoted to federal records such as census, military, and immigration, as well as the historic records created by the Department of the Interior and the Department of Indian Affairs. Births, Deaths, Marriages from Regina Newspapers 1883-1889. Abstracts for this publication were taken from the two newspapers printed in Regina, Saskatchewan during the time period. Communities covered ranged from the Lakehead in Ontario to British Columbia. The abstracts are arranged alphabetically by surname and then as family groups within the listing. Births, Deaths, Marriages from Regina Newspapers 1890-1899. Abstracts for this publication were taken from the two newspapers printed in Regina, Saskatchewan during the time period. Communities covered ranged from the Lakehead in Ontario to British Columbia. The abstracts are arranged alphabetically by surname and then as family groups within the listing. Births, Deaths, Marriages from Regina Leader 1900-1905. Abstracts for this publication were taken from the two newspapers printed in Regina, Saskatchewan during the time period. Communities covered ranged from the Lakehead in Ontario to British Columbia. The abstracts are arranged alphabetically by surname and then as family groups within the listing. Births, Deaths, Marriages from Regina Leader 1906-1910. Abstracts for this publication were taken from the Regina Morning Leader. Communities covered ranged from all of Saskatchewan, plus a few from other provinces. The abstracts are arranged alphabetically by surname and then numerically as family groups within the listing. Next is the type of event; the date the event took place; information concerning the event and finally the date of the paper in which the event may be found. Births, Deaths, Marriages from Regina Leader 1911-1913. Abstracts for this publication were taken from newspapers printed in Regina, Saskatchewan during the time period. Note. The titanic was struck on 14 Apr 1912 but went down after midnight. The individuals from Saskatchewan that died are listed in this book. Births, Deaths, Marriages from Regina Leader 1914–1916. Abstracts for this publication were taken from newspapers printed in Regina, Saskatchewan during the time period. 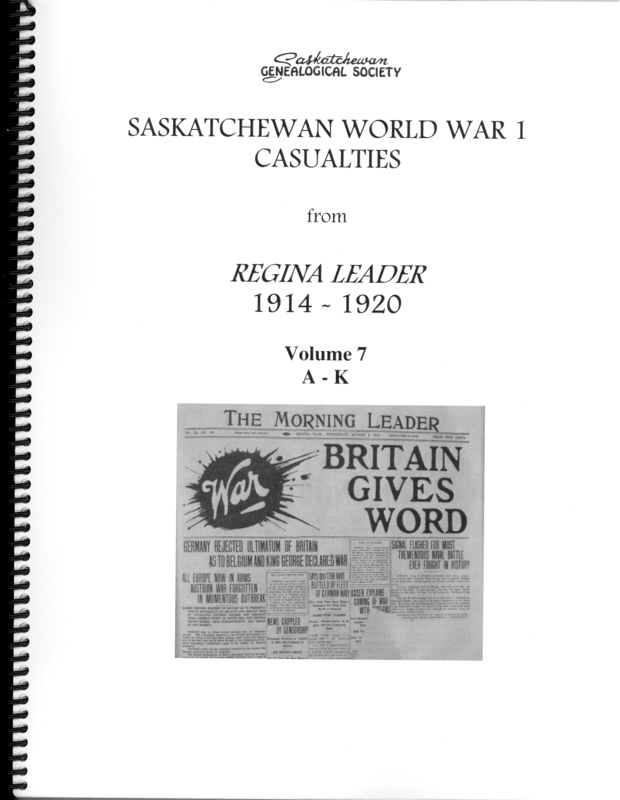 Saskatchewan World War 1 Casualties from Regina Leader 1914-1920, Volume 7, A-K. Abstracts for ‘Casualties of World War I”, were taken from The Morning Leader online edition. 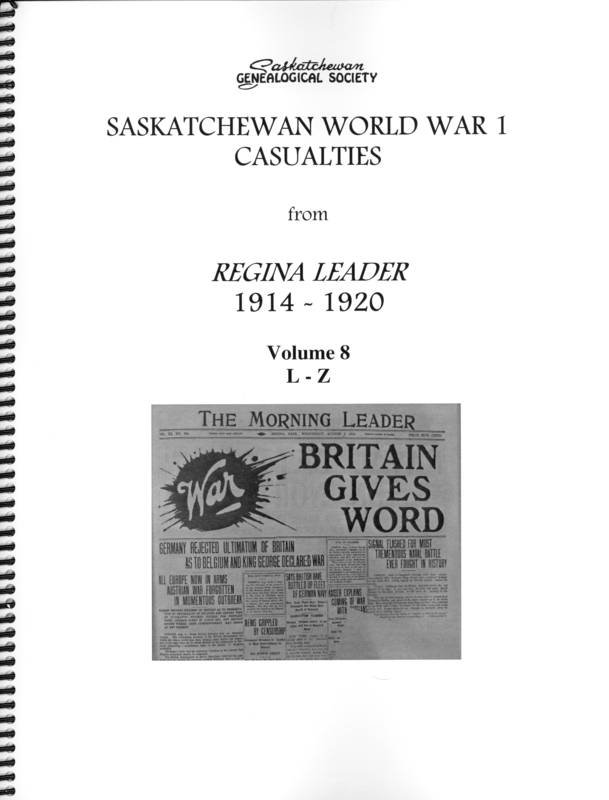 Saskatchewan World War 1 Casualties from Regina Leader 1914-1920, Volume 8, L-Z. Abstracts for ‘Casualties of World War I”, were taken from The Morning Leader online edition. Change of Name-The Saskatchewan Gazette-1917 to 1950. This index appears in two alphabetical series: one by the original name and another by the new name, as they appeared in The Saskatchewan Gazette. This index is a useful genealogical tool for those who have lost contact with relatives moving into the province, where the name changes subsequent to the move, and for those who, not realizing there has been a change of name, are trying to trace the origins of their families. 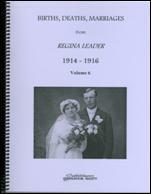 Compiled by D’Arcy Hande, Debbie Moyer, and Rae Chamberlain; Published by Saskatchewan Genealogical Society. Compiled by Norman G. Wilson; Published by Saskatchewan Genealogical Society.